We previously posted Scrolling AdSense Ad After Moving Down a Certain Distance From Top. When we restrict the social sharing widget to slide (scroll) over after a set distance, it provides an overall clean look to the blog. How To Add Sliding Social Media Sharing Widget To Blogs/Websites? In case you wish to customize the placement of the social sharing widget, you can adjust the values highlighted in the code. Thats all! 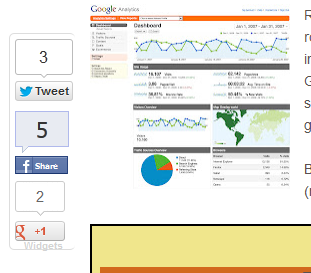 Simply adjust these three values and you would get the desired results for the scrolling social sharing widget. The original widget was designed by our fellow blogger Muhammad from MBT. We enhanced the widget by adding the advanced scrolling feature. kindly respect the copyright. It takes hours to modify a certain widget that we bring in to you guys.